Review: Loved this movie. In the latest craze of slasher, slash, occult mania, this movie stands out with it's silly take on the genre. The director takes a comical approach that is very entertaining. 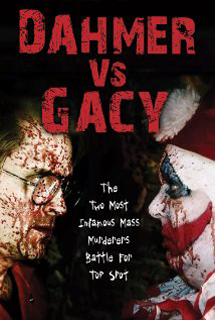 Dahmer and Gacy are the two blood thirsty villains (at times literally), who spread fear and body parts throughout the movie. They escape from a genetic experimental center that had been tasked with bringing the most blood thirsty serial killers back to life. A fun and gory hour of mayhem follows. I watched the movie with a few friends and it is a lot of fun and appeals to a lot of tastes. It is so ridiculous that you have to watch it. 10 Stars!